Conveniently, grass litter boxes come with either synthetic or real grass options. But what advantages would real grass provide for you and your dog. While synthetic grass does have the benefit of durability and longevity, real grass provides your dog with the familiarity of a natural environment. The natural benefit of real grass is the unique characteristics that only the real thing can provide. Smell, feel, and familiarity all provide the instinctive incentive for a young pup to want to use their litter box. For training purposes, real grass provides your dog with a place that feels “right” to use. Real grass has the instinctive incentive that dogs are naturally draw to. For young puppies, this is an ideal solution to potty training. The unique odor and comfortable feel of natural grass provides a young pup with an environment that is very different from the rest of your home. This helps them to designate their litter box as the proper place to do their business. Not all dogs start out using an indoor potty, and transitioning a dog from outdoors to indoors can be a difficult task. 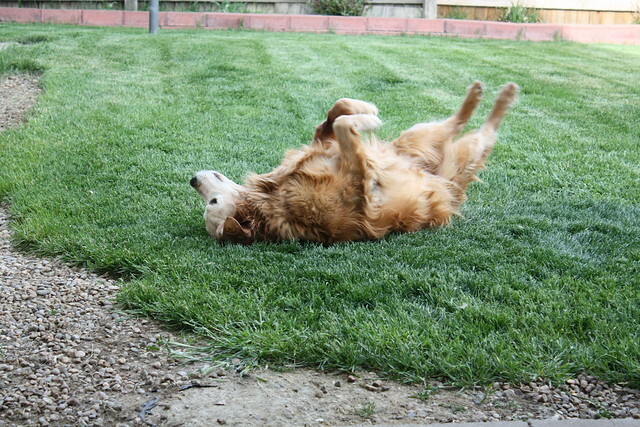 Real grass provides a buffer that your dog can familiarize with, easing the transition. If you were to stop letting your dog use their accustomed environment, they may end up confused about the situation. Real grass will help them associate their previous potty location with the new one so that you can avoid any messy situations. Transitioning a dog from inside to outside use can also be difficult. Because an indoor litter box may only be a temporary training device for a young or small puppy, real grass provides them with an indoor location that they can become accustomed with. By using natural grass in your litter box, you will provide your puppy with the right tools and characteristics that will ease the transition from indoor to outdoor. Real grass provides your dog with the natural and comfortable feel that they instinctively desire. While it can mean a little more maintenance, the benefits of training your pup for their indoor lifestyle are very advantageous. By using real grass in your litter box, you can help your puppy enjoy the advantages of indoor plumbing with a natural comfort.